By Melissa Lennig on August 25, 2012 11 Comments. This content contains affiliate links. As an Amazon Associate I earn from qualifying purchases. 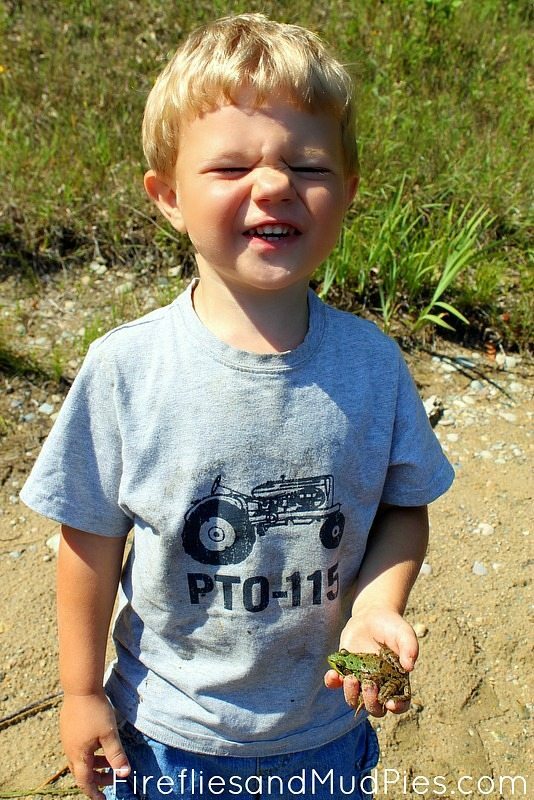 My youngest has become our resident frog and toad handler at camp. He even won 3rd place in a local frog jumping competition! 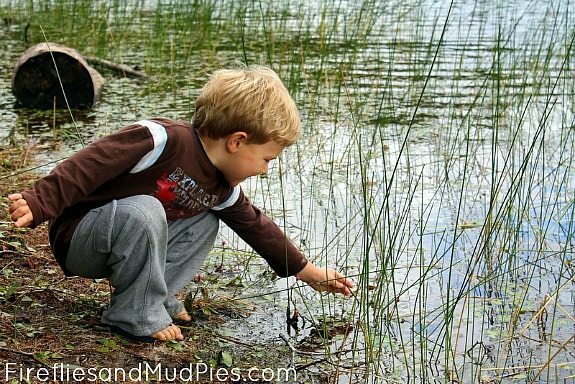 The little boy has catching frogs and toads down to a form of art! Step 1: Observe your surroundings. 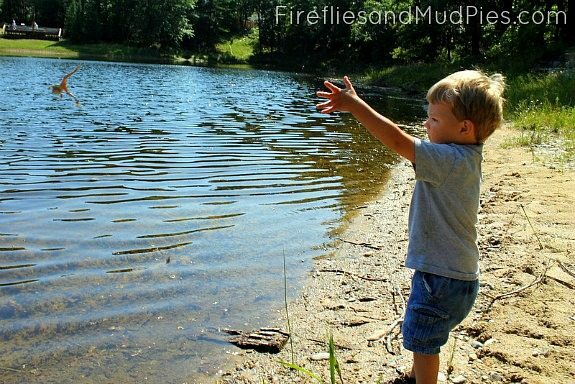 Look for bubbles, tiny eyes poking out of the water, and sudden movements or splashes. It is helpful to have an older brother spot them for you. Step 3: Enjoy the chase! Shoes and clothes will get wet and muddy. Frogs will hide and hop. 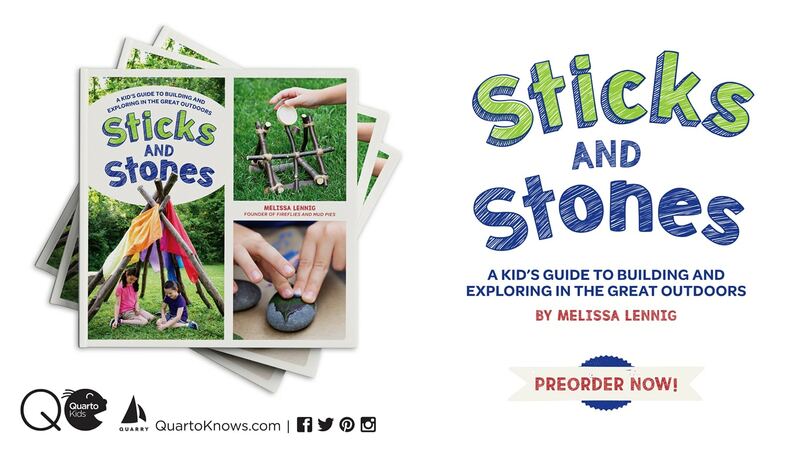 Small children and grown-ups alike will screech, giggle, and run! Step 4: Catch the frog. My youngest prefers to use the “single-handed quick slick frog pick-up trick.” He reaches into the water, grabs a frog, then carefully cups his free hand over the top. Step 5: Smile big! You just caught a frog. 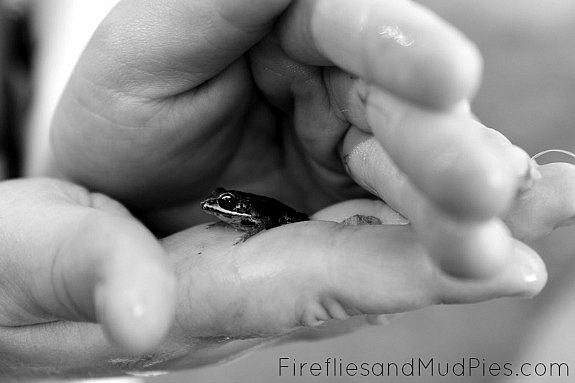 Step 6: Gently release your frog back to its home. NOT LIKE THIS! Step 7: Find more frogs and repeat Steps 1-6. Frog catching is good for your soul! Oh! That’s 5 Facebook shares! Here’s the story . . . We were snuggling before bedtime while reading a book about – you guessed it – frogs. 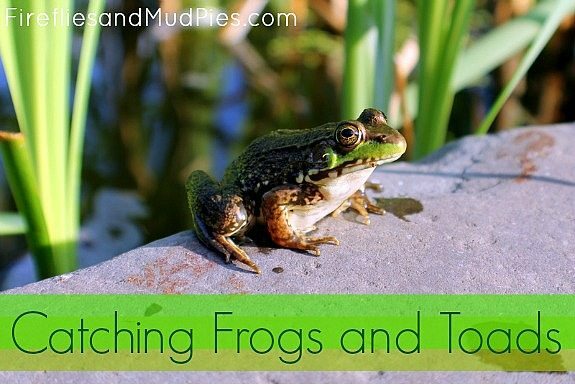 The tiny chapter on mating showed a picture of a smaller frog on the back of a larger frog doing what frogs do in the Spring. 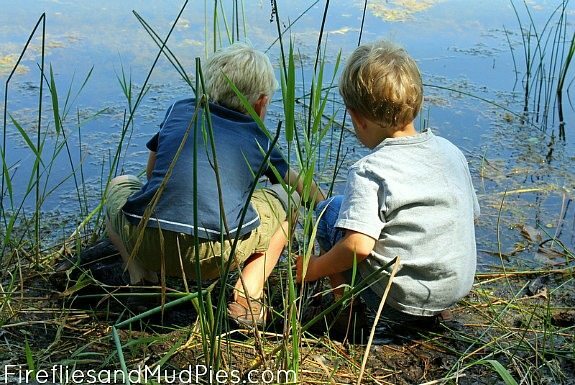 The next pictures were of frog eggs and tadpoles. Colin turned to me with this “aha!” expression on his face and asked, “Is that how Owen and I were made? Daddy climbed on you and gave you a hug, like the frogs do?” I know I started giggling, but stopped when I noticed how serious he was. “Was I made with a hug, Mommy?” he asked again. I replied, “Colin. You were made with a great big hug full of love! The kind of hug that only Daddies and Mommies can give each other!” He smiled, looked satisfied, and we went back to reading. I’m hoping (oh goodness, I’m hoping!) that we don’t talk again about mating again, say, for another 5 or 6 years! I simply want to say I am all new to blogs and seriously loved this page. Most likely I’m want to bookmark your blog . You surely come with terrific posts. Many thanks for sharing your website page.